Hey there! 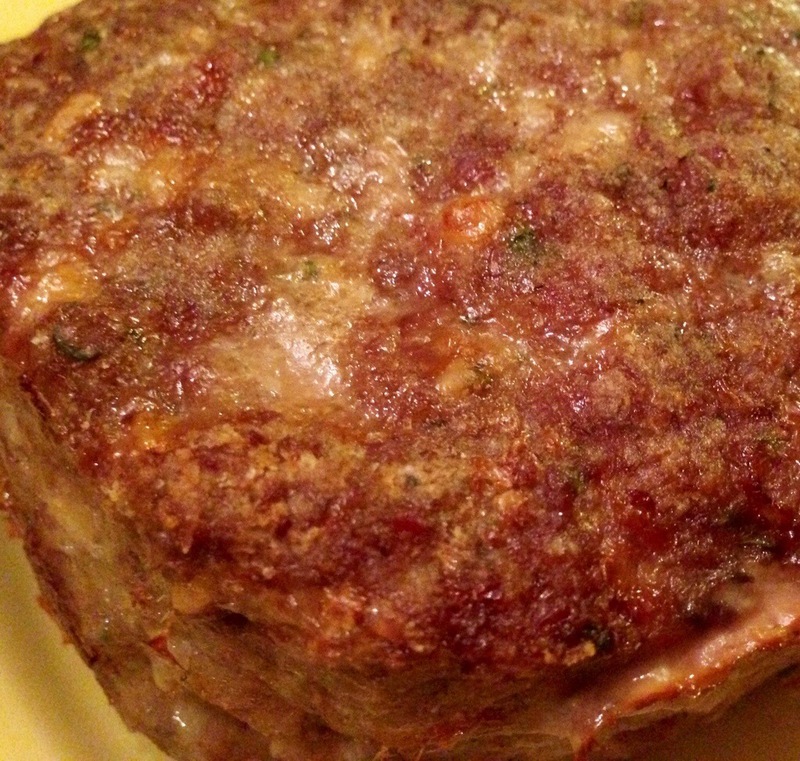 More snow in New England tonight – time for some winter comfort food. 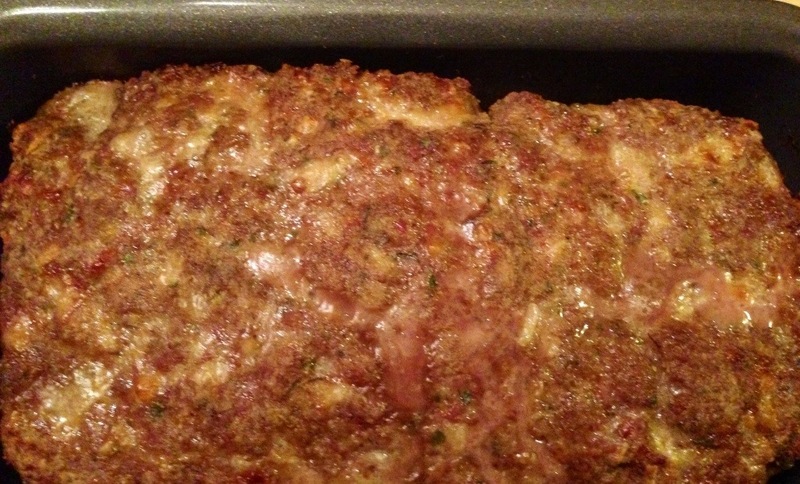 The kids actually really love my meatloaf, but let’s just say I tend to make it on nights my wife has a dinner meeting. This recipe definitely has an Italian feel. I stumbled on the idea to add the cheese somewhat randomly, but it really worked out. The cheese crisps up on the edges and adds a nice flavor throughout. Combine all ingredients except for the bread crumbs in a large bowl and mix thoroughly. When everything is incorporated, start to add the bread crumbs slowly. Depending on your meat and the size of the eggs, you might need a bit more or a bit less than the 3/4 cups. 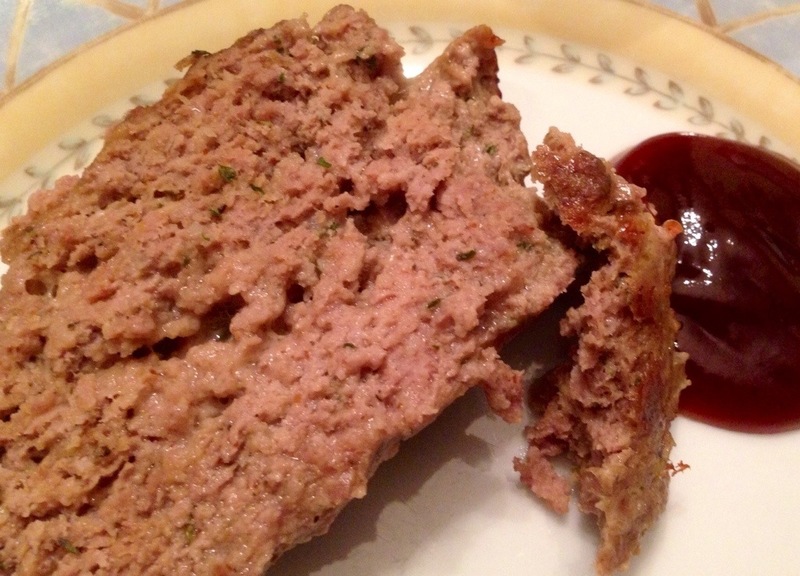 A note on meat combinations… In the meatloaf pictured, I used half beef and half pork. My supermarket usually carries a pre-packaged mixture of beef, pork, and veal, but I could not get it this time around. If you like bison, it’s a great add-in as well. It’s very low fat and a different consistency than the other meats — if you use it, that’s another reason to monitor your bread crumb amount. I use a loaf pan, as you can see, but you can use a baking pan also. 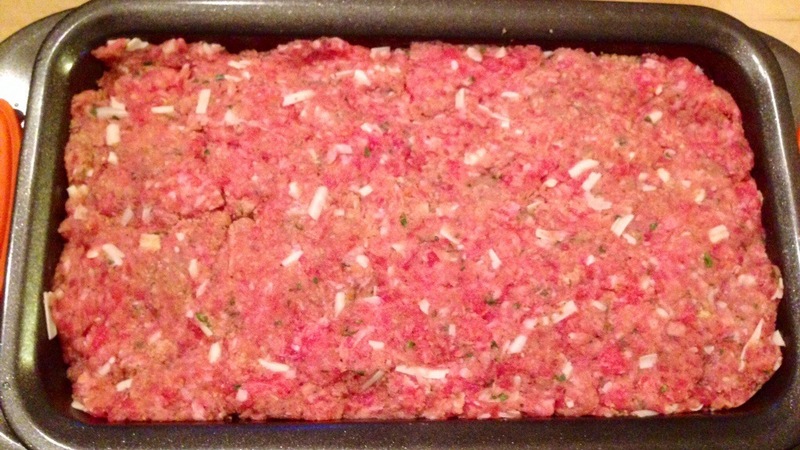 Fill the loaf pan or shape the meat on a baking pan as desired. Cover with the bacon, if using. In the loaf pan, this 2 lb loaf took about 60 minutes. Your time will vary based on the shape and the type of pan (glass, metal, etc.) so keep an eye on it. I use a meat thermometer to be sure it’s cooked through in the center. Check out how the cheese browns and crisps up in the picture below — love that! P.S. I take thin slices of the leftovers, fry them in a pan a bit, and make a great sandwich with lettuce, mayo, and ketchup. Awesome! This entry was posted in Dinner, Italian and tagged beef, bison, cheese, dijon, dinner, leftovers, meatloaf, parmesan, pork, veal. Bookmark the permalink.